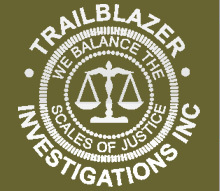 Trailblazer Investigations, Inc. Private Investigators now provide extensive investigative services for the business community. Rely on Trailblazer Investigations, Inc. as trustworthy resource for competitive business intelligence. Whether you have concerns for Queens NY insurance fraud or Manhattan copyright fraud—we’ll make sure to obtain the necessary information. The licensed private investigators at Trailblazer Investigations, Inc. provide extensive investigative services for the business community, including trustworthy resources for competitive business intelligence. Whether you have concerns for insurance or copyright fraud or if you fear there is a leak within your company, we have the proficiency, knowledge and resources to divulge the truth. In addition to traditional matrimonial surveillance and background investigation services, our business investigations and due diligence services have proven to be effective and beneficial for many business. We know how important pre-employment background investigations are for potential employees; similarly, it is important to know with whom you are doing business. Ignorance toward a potential business partner or competitor could devastate one's business, which is why we provide facts needed to make the smartest decision for your business. 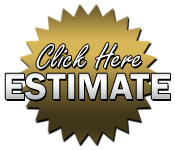 Trailblazer Investigations, Inc. offers our investigative services in Suffolk County, Long Island and New York City. For more information about how our business intelligence unit can help you, call (631) 921-5036 today.